The Visionquest label kicks off 2012 in style with a spellbinding release from the dream team that is Tale of Us & Thugfucker AKA Life and Death. 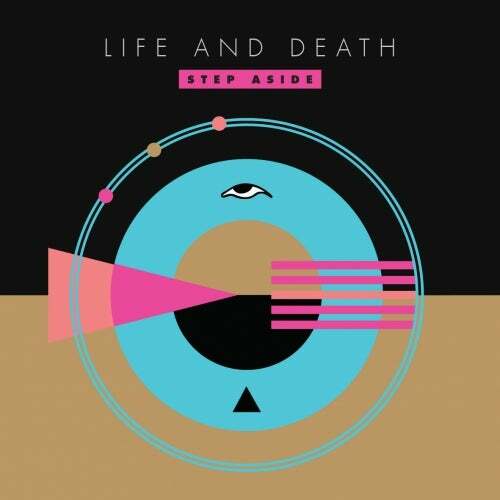 Step Aside is a two track of stupendous sonic skullduggery. The hottest label to come into inception this year, Visionquest has surprised, beguiled and enthralled us with some of the most celebrated releases from the some salubrious artists and producers. Here we welcome back Tale of Us alongside cohorts Greg Oreck & Holmar Philipsson Thugfucker. Here they also rope in the vocal talents of Scott McCloud. The A side Step Aside (Lightweight) is a fantastic slice of laconic lazy house with growling, pulsing bass line gradually turning more and more analogue and acidic as the warm enigmatic omnipresent pads infuse Scotts snarling dismissive vocals as he makes himself at home, in the USA! On the flipside and Morgana is of equal stature. A darker, hallucinogenic journey, a jacking groove underpins the bubbling disengaged playful synth line that becomes more and more twisted and hallucinatory finally giving way to a volley of great disco fills. What a great two tracker. Life and Death have recently remixed PillowTalk, No Regular Play and Gus Gus. The Tale of Us half of Life and Death are no strangers to Visionquest releasing the pivotal Dark Song EP earlier this year and the anthemic Winds of Change. Thugfucker, have been producing music for many years on labels such as Brique Rouge, Music For Freaks, and their own Thugfucker Records, but most notably on the impeccable Italian based label Life And Death. This great pairing have produced a great release for Visionquest, with both tracks soon to be remixed by Carl Craig and Jamie Jones, for release in the new year.. wooohooo!